Finally, a Glee album that avoids the usual pitfalls -- the overtrained Broadway vets turning pop tunes into stiff Italian arias, Matthew Morrison’s repeated attempts at rapping -- and starts to move beyond karaoke territory. Volume 6 still contains a handful of duds, but it also plays up the show’s creative side. “Rolling in the Deep” is stripped of its Motown arrangement and turned into a minimalist a cappella duet, with Jonathan Groff and Lea Michele trading verses over a gospel choir. “I Feel Pretty/Unpretty” combines Leonard Berstein with TLC, turning two seemingly incompatible songs into one of the show’s prettiest tributes to self-acceptance. “Dreams” sticks closer to its source material, but Kristin Chenoweth turns in a surprisingly spot-on Stevie Nicks impression, and Matthew Morrison’s backup harmonies are the stuff of cool restraint. The second half of the album doesn’t fare as well as the first -- in a post Mamma Mia world, do we really need another lackluster version of “Dancing Queen?” -- and some of the tracks could’ve been swapped out for better songs that didn’t make the cut, like Fleetwood Mac’s “I Don’t Wanna Know” (scathingly sung by Cory Monteith and Dianna Agron) and -- believe it or not -- Rebecca Black’s internet hit “Friday” (performed during the prom episode to surprisingly tuneful effect). 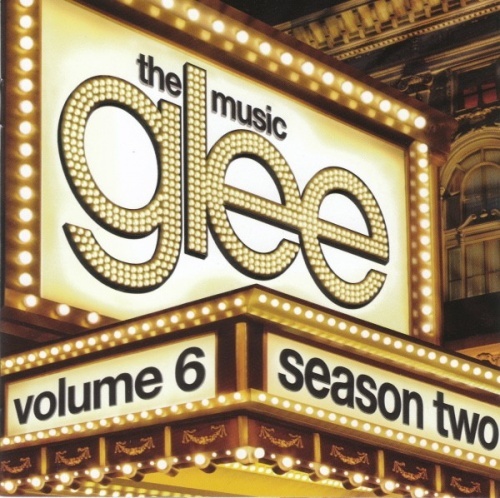 Like most Glee soundtracks, this one has its homeruns and its strike-outs, but Volume 6 plays a better game than some of its predecessors.